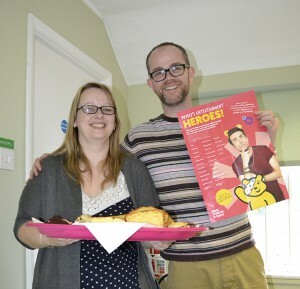 Children in Need week in November always means it’s time to get baking! Every year staff (and the odd customer) get baking at home to create an absolute smorgasbord of cake and pastries for sale in the factory. Thanks to everyone staff, customers and suppliers alike who put their hands in their pockets and helped us raise £267. Good for Children in Need, not so good for our waist lines!